Ekk sorry its been nearly a week!! I can't believe it. I had every intention this week to do a couple of posts but the week has just flown by. Without further ado I lost 1lb. I really thought I might have added a few more to my Easter collection of pounds so I was happy with that. 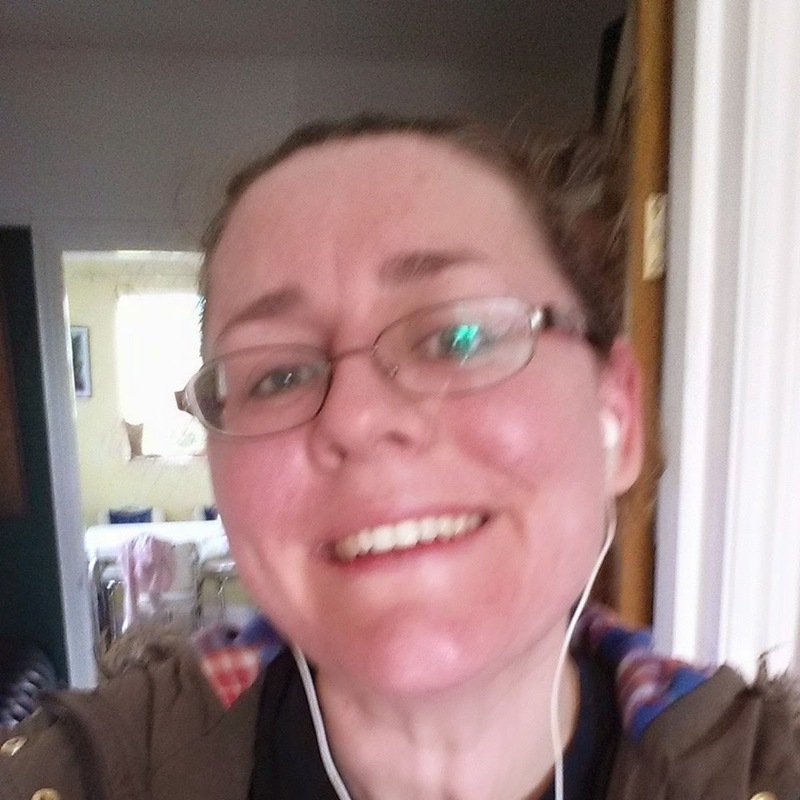 I have jogged 3 x this week having now completed Week 7 of the C25K app. I'm pleased to say that my knee feels much better. I think it was more the muscle just above the kneecap. There are a few steep inclines on my usual route which can take its toll. I had an awful jog on Wednesday. I was just when the weather had started to get all summer like. It was the first time I couldn't hide in my coat and had to run wearing a t-shirt and my phone strapped to my arm. Mentally, I am hopeless at jogging. The list of moans that are going on through my head are not helping matters e.g "my legs feel like lead" "I can't do this" "I hate this" "urgh what am I doing". Like my son says, its mind over matter. You can do this. And I can. I can jog for 30 minutes without stopping - trouble is when I start I say I can't. So on Wednesday, with this in mind, I set off. I stopped about 3 times and was pretty pathetic. 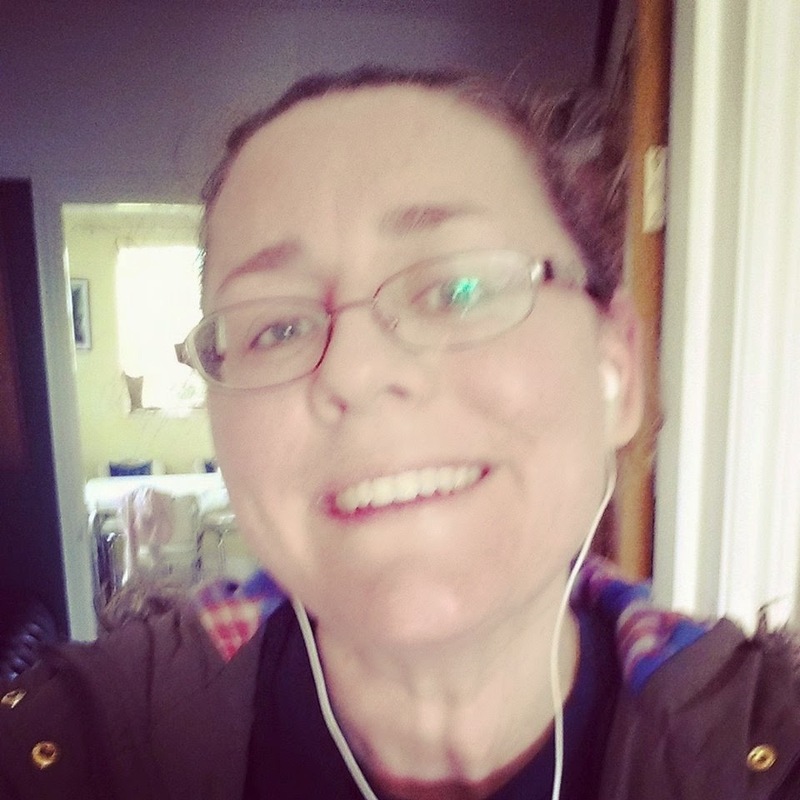 However, I thought it was better than nothing and on Friday with a slightly more positive attitude "I don't hate this, I don't hate this" I was able to jog 13 minutes a mile of the 2.5 miles. Which is nearly the 5km that I'll be completing in June. Now, my aim is to be able to run one mile in 10 minutes. Just to really rub salt into the wounds. I received a newsletter from my son's high school that he is attending in September. Along with other achievements, I read that one of the lads ran 3 miles in like 14 minutes. Now that is impressive. That is youth for you. I am not young. I'll take my 10 minutes a mile. This chap would lap me twice! I am going to go for a fourth jog tomorrow over on the park. I want to see if this is marginally more enjoyable and to test whether or not killer dogs rip you to shreds whilst out running. Wish me luck. Also I need to get this belly down. I now have two bellies instead of one. Now this might sound like a backward step but it really isn't. You see at the start of the year, my belly was one continuous number, a bit like when a woman is pregnant. It starts from underneath the breast bone and continues all the way down. Now there appears to be a flattish bit before the bottom of my belly is round. I'd say that's progress. Having two bellies is progress. I have belly A and belly B. I'd like Belly B to also go down but think belly A has to go down first. Just to give you an idea of how utterly exhausted I am after doing a little jog. Check out my beetroot face and Deirdre Barlow neck (RIP). I then had a play with the filter and made my face look like I hadn't jogged around the block. What do you think? My heart rate monitor had me cranking it up at 200 but surely I would have been dead if that was the case? I'm still alive. I'm alive I tell thee. In other news, all preparations for Buddy's party are well underway. The party supplies, cake supplies and other bits and bobs have all been ordered. Its kind of got a bit out of hand as for some reason I said "yeah bring siblings too". I think I may have approx 22 children in my garden in May. What could go wrong its only 2 hours and I have hired an entertainer that transforms into Spiderman. I pushed the boat out as Buddy has never really had a big party. It'll be his first and last until he's about 18 so he'd better make the most of it. He's blissfully unaware of this fact. I also had a sort out. I always do this at the first sign of a bit of sunshine. All my clothes - the ones that every year for the past 5 years I say I'll fit into that by the summer and never do! I also did the kids clothes in readiness for the summer. Any excuse to order a few bits online. I've been ever so good this year making do and what not. Even the Hermes delivery guy said "you've been very good". I feel we're drifting apart. So, more of the same next week and...shhhh don't tell anyone..but I have a sneaky audition for a game show. I'll let you know how I get on I'm one step nearer to ticking that pesky game show off my bucket list.